CRMXchange, celebrating its 20th year as the leading online information resource for customer care/contact center professionals, announces a series of free September educational events to address these vital issues. CRMXchange, celebrating its 20th year as the leading online information resource for customer care/contact center professionals, announces a series of free September educational events to address these vital issues. The schedule includes a technology showcase demonstration, as well as a multi-sponsor demo session, plus informational webcasts designed to help bring managers and executives up to speed on emerging strategies and proven best practices. Customers invest their time providing survey feedback. Thanks to omni-channel touchpoints, most companies have endless amounts of data. But how much time do organizations invest in leveraging this data? Companies can get ahead of the competition by using their customer data to automate real-time responses. Learn how to capture and analyze real-time customer survey data to connect with customers, triggering the perfect response. Companies of all sizes are driven by processes and people. Processes are put in place to help ensure successful operation and compliance. But it’s the people who make these processes work. When employees are constrained by having to follow set rules and guidelines, their jobs become repetitive and mundane, making them prone to errors. Even with huge investments in training, skilling, and recruitment, tedious tasks can be the root cause of ongoing inefficiencies. Having the right solution in place positions companies to re-skill their people to perform more productive business activities. Learn to pinpoint the right applications for integrating robotic process automation into the contact center. There is a lot of information that can be collected during the candidate hiring process. But more importantly, are businesses paying attention to making decisions based on the qualities that customers tell them are important? Join us for a discussion of the essential candidate information that leads to improved hiring outcomes. Today’s contact centers are facing increased competition in the marketplace. Two of the key components involved in keeping customers happy are knowing what they’re thinking and being positioned to anticipate their needs. Having the right analytics in place enables businesses to accomplish all of this and more. There are several ways of measuring and tracking the quality of contact center interactions between customers and agents. Join us to view top QA and Analytics Solutions in action. The best workforce management processes are built on solid forecasting, strategic planning, and scheduling/real-time management. But there is a fourth pillar that gets little mention: communication and collaboration. This webcast discusses best practices for forecasting and simulation modeling that ensure the best plans; the importance of all of these components working closely together; and why validated algorithms are so important to workforce management. 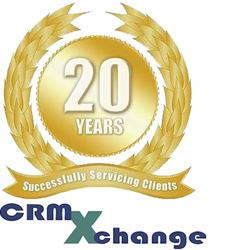 CRMXchange is the premiere destination for information on customer relationship management solutions, including customer interaction best practices, CRM programs, training, and other valuable industry resources. To view the full schedule of upcoming webcasts for the year and to register for individual sessions, visit CRMXchange.